I bought all the 8 shades of Maybelline Color Show Glitter Mania Nail Polish and I must say this is an amazing range. Till now I had reviewed Starry Nights, Matinee Mauve, Pink Champagne, Red Carpet, Bling on the Blue and Dazzling Diva. 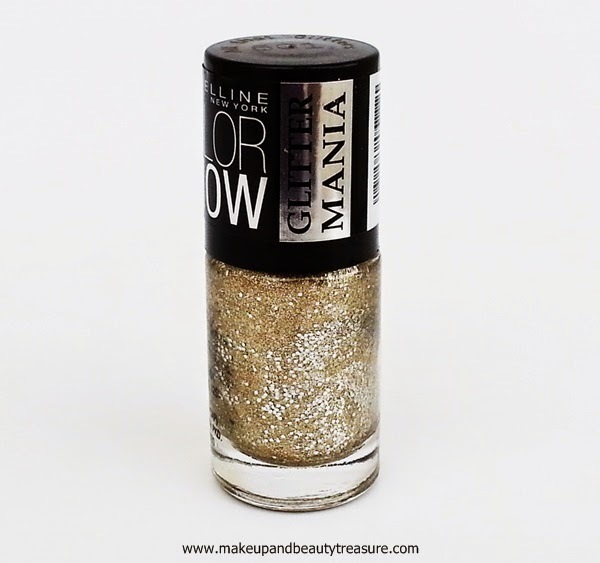 Today I am going to review Maybelline Color Show Glitter Mania Nail Polish in All That Glitters. 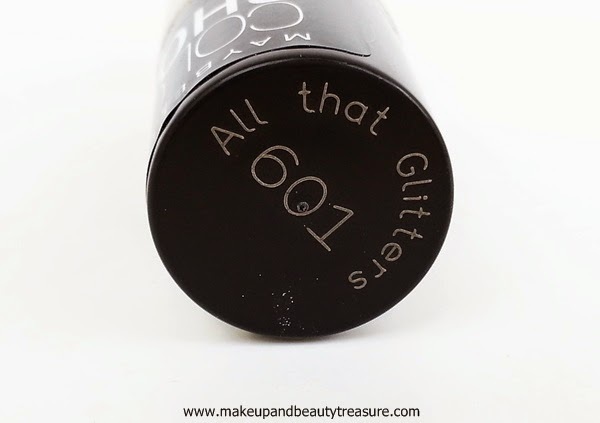 All That Glitters is a light and pale gold color with lots of silver glitters. It looks neutral yet elegant on my nails. If you are fond of light shades then this shade is for you. The nail polish looks beautiful on my nails and in the bottle. The shimmers make the color all the more pretty and create a beautiful textured effect. It provides a lovely textured finish and is a true elegant color. It is a perfect shade for day time and night parties and would look flattering on all skin tones. It definitely makes my hands look classy and elegant. It is quite pigmented and gives true color in two coats. It lasts on my nails for more than a week without chipping. I absolutely love its textured finish that is the USP of this nail polish! 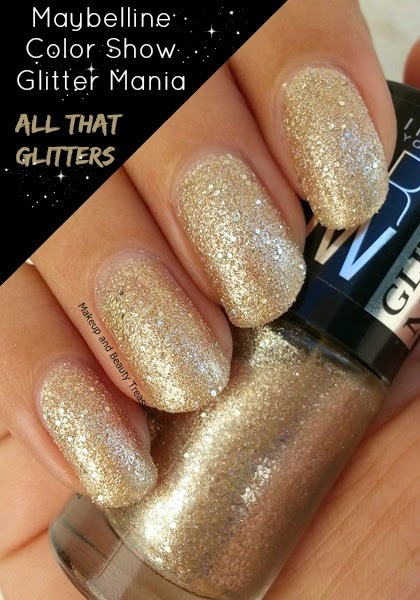 Maybelline Color Show Glitter Mania Nail Polish in All That Glitters is a gorgeous pale gold color with silver glitters. It looks classy and elegant on my nails. If you are fond of light colored nail polishes then this shade is for you! 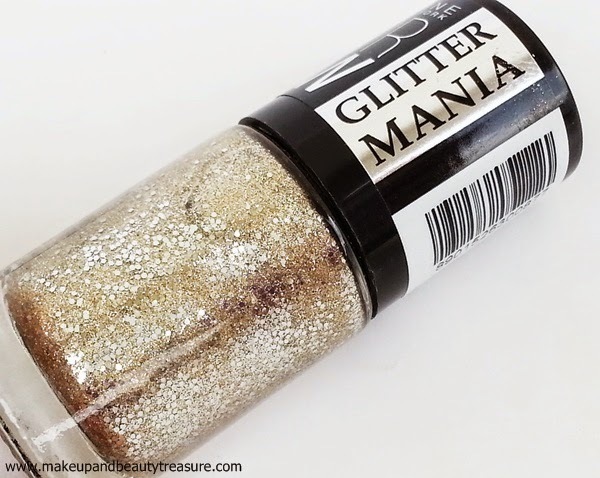 Have you tried Maybelline Color Show Glitter Mania Nail Polish in All That Glitters? How was your experience? Share in the comments section below!